If you've been following me on instagram you'd have known that i've gone for a new look! Been wanting to fix my hair ever since my hair colour went wrong when I dyed it at one of the neighborhood salons in Serangoon. 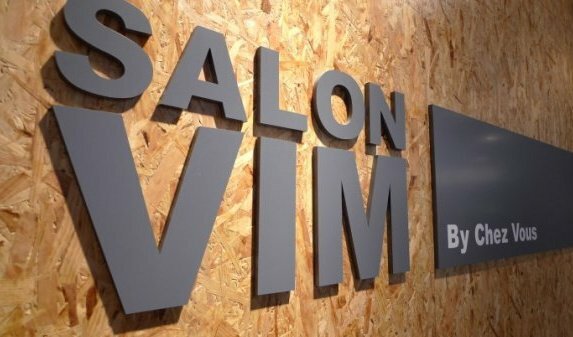 The name Salon Vim definitely needs no introduction! Was telling them whenever I see someone on the streets with outstanding hair colour, the first thing comes to my mind that he/she must be a happy customer of Salon Vim. Arrived at the 313 outlet! Had an idea of having pink hair before heading to the salon but didn't know there were 2 different shades of pink to choose from! Was so torn between cotton candy and hot pink. So I consulted my stylist and she told me to go ahead with hot pink! Meet my stylist Fiona who has so much swag! Going for a darker base colour, check out the pink dye at the back! Was advised to do the legendary Redken Cocktail Treatment because my hair was too brittle and dry. Basically it's a 3-step treatment that is set to target different hair issues, mixing several serums and lotions in a cocktail shaker to obtain a treatment that is specially created for you. And lastly just let the steam machine do the job! My hair felt even softer than it was before I had it coloured! Thank you Salon Vim and Fiona for this new hairdo! The 2 products from Redken and Loreal I brought home that day. Has been diligently using them to maintain the condition of my hair! Simply quote my name 'Jolene' for the discount! Hi Jolene! I loveee the black chanel necklace you wore on ohvola's upcoming collection tmr! May I know where did you purchase that from/ how much is it? hi jolene, i sent you an email previously about this. It's about the ohvola wooden blocks that your friend desiree got it during the office warming post. Do you have any idea where I can get those? Thanks in advance! Hi it's from Art friend! Hi prolly at the end of May! Really- very important tips about Best Aveda Hair Salon NEW YORK...........thanks for sharing . How much does an ombré cost in this salon? I have a Manic Panic in Mandarin on my hair and I'm super loving it! These temporary hair dyes are so cool and funky! By the way, I love your new ombré hair! :) It looks good!